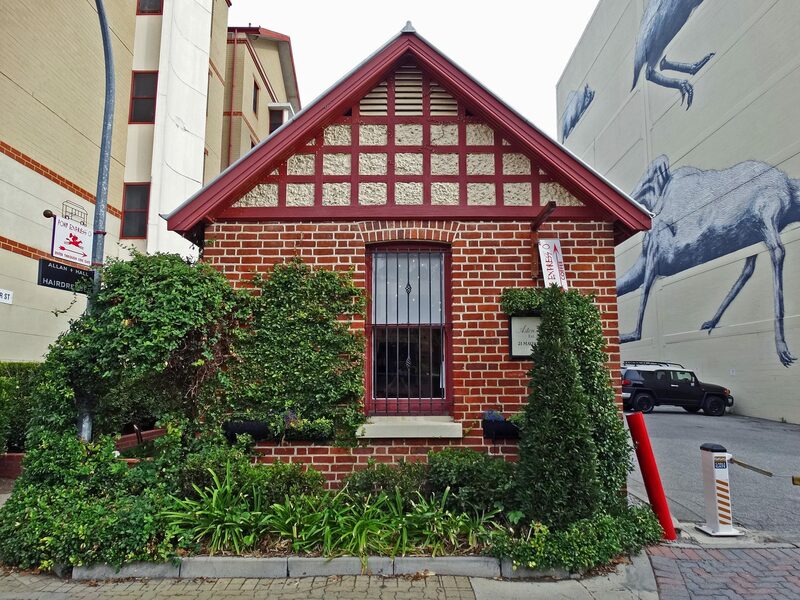 The exact date of construction for the stables on Mayfair Street, West Perth, is unknown, but it was originally sited at the back of ‘Springfield’, a house facing Colin Street. By 1897, Springfield was operating as a boarding house, so the stables were probably constructed a few years before this for a private residence. In November 1923, Springfield was leased by the Maimed and Limbless Men’s Association as a hostel for their clients. At the time, the house was described as having sixteen rooms, a dance floor, large lawns, and more than 110 square metres of outbuildings, presumably including the stables. The outbuildings were proposed for use as classrooms to train the residents in trades and occupations. After World War II, it was decided that a two-storey house was no longer suitable for its disabled residents. In addition, much more accommodation was needed for the organisation, now known as the Maimed and Limbless Ex-servicemen’s Association (MALEA). However, it took some time before the residence was demolished and the new hostel, Malea House, was opened in 1954 by the Governor, Sir Charles Gairdner. Today, the stables operate as offices and a coffee shop, and remain a reminder of the grand houses of West Perth erected in the 1890s. In the 1890s, when the stables were first erected, West Perth was characterised by grand homes facing the street with service buildings such as stables to the rear. These larger houses reflected their owners’ distinguished place in Western Australian society. However, there were also small workers cottages located adjacent to the service buildings facing the backstreets throughout the area. In 1901, Springfield was purchased by Richard Holmes, and he engaged architect William Nelson to design alterations and additions to the residence. It seems likely that he sold the place around 1910. A 1910 map shows the stables at the rear boundary of a lot facing Colin Street. The main house is revealed to be a substantial dwelling with double bay windows to the front. Behind the house is a tennis court and behind the court are the stables. The style of the house appears typical of the grand homes built in the area in the 1890s. Malea House was subsequently known as Aston Clinic and the area between the house and the stable building was used as an open yard by patrons of the clinic. At some point, ownership was acquired by Homeswest. The site, except for an area around the stables, was redeveloped by Homeswest in the 1990s as a mix of medium density housing and commercial tenancies.